Canadian from birth, with a mélange of ancestry: Sicilian, First Nation, Acadian/ French Canadian and having explored almost every province in Canada, I yearned to step foot in Italy. I still haven’t been to Sicily, but in 1996 or 1997, and it could very well have been 1998, I was presented with an opportunity to visit a few different cities in Italy. I took this photograph using a disposable Kodak camera set on panorama. As I write this, I have the original print in front of me. The colours are fantastic. But that is Italy for you. It seems like every photograph comes out as a work of art. I scanned this image to post it here. I have yet to sort through boxes of old photographs; I will get all my non-digital photographs organized this winter and scan in a few. I visited Knoxville, Tennessee from May 20-26, 2013. Walking near the convention centre I found myself on a street with a stunning red brick building. While my friend stopped to get her coffee, I had about five minutes with the wall until we had to dash back to our group. These are the photographs I took with my Panasonic DMC-LX5 Lumix. 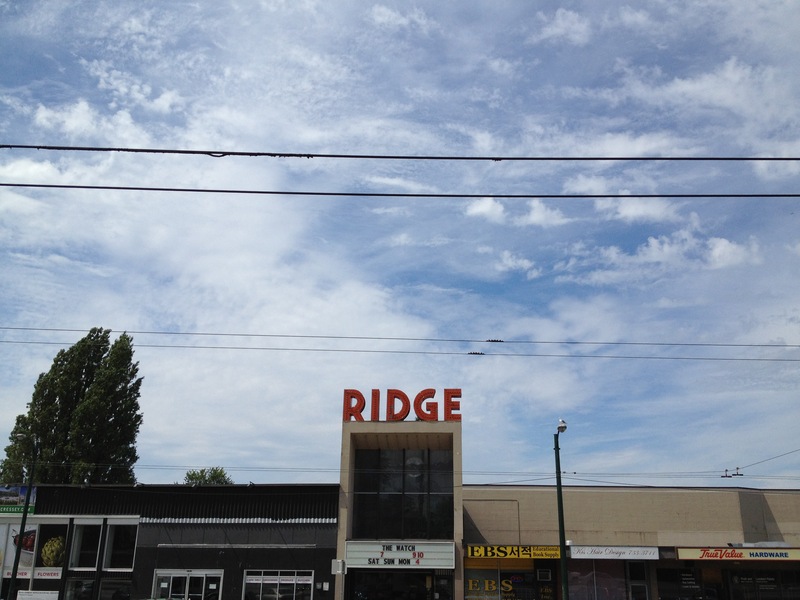 The Ridge Theatre and strip mall (including the Varsity Ridge Bowling Lanes) at Arbutus Street near 16th Avenue is destined for demolition this month to build a new condo development. After over 50 years of serving Vancouver, it will be missed. Just about daily, I drive past the Ridge’s iconic sign. I began to feel concerned that I might miss my opportunity to capture the sign as it stands before the demolition date. I got a snapshot of it using my iPhone months ago when I first heard about the plans for demolition, but I really wanted a close up. And capturing the seagull as it just touched down, with wings outstretched was such a bonus! I think the plan is for the Ridge sign to be incorporated into the new condo development, which is pretty cool. Glad the pigeons and seagulls will only have to temporarily relocate.